So since I’ve been back from the mother country I have been battling the bulge in the most serious way. A number of my friends and family have been following the Slimming World eating plan which is basically an easy-to-stick-to slimming club. Seeing as everyone else was on the bandwagon, I wanted to get on the bandwagon too because I had some serious kilos to drop, and I wasn’t going to let the technicality that there are no Slimming World clubs in Australia put me off. Although I have to ask, why not? Come on over, Slimming World, I think you’d love it here! On this eating plan, I’m allowed a certain number of value added extras called “syns” which I have to count. I prefer not to count them and save them for a glass of wine or two at the end of the week and so I have become somewhat of a syn dodger, dreaming up recipes full of free (and delicious) foods. 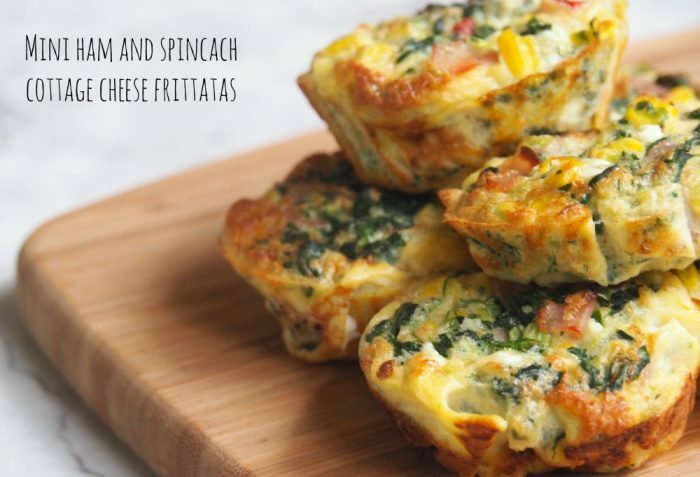 That’s how these frittatas came to be. They’re packed with veggies and full of yum and the cottage cheese makes them so creamy, so light and oh, so fluffy! 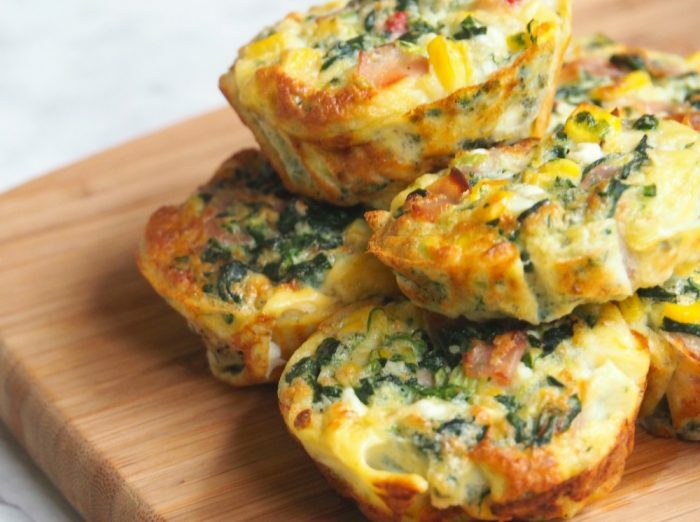 They’re equally delicious warm or cold and make are brilliant breakfast, whether your enjoying it at home or on the go. 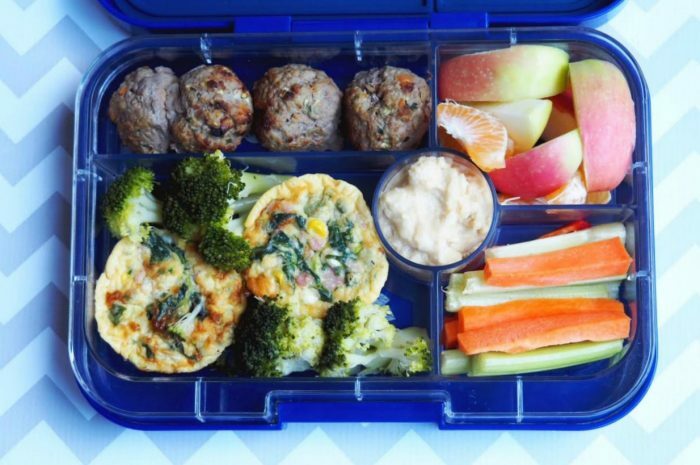 Likewise, they make a lovely lunch and go great in a lunch box. Best of all, they’re super versatile, because you can mix up the fillings using whatever you have to hand. For a veggie free option, just skip the ham and add in some extra veggies. 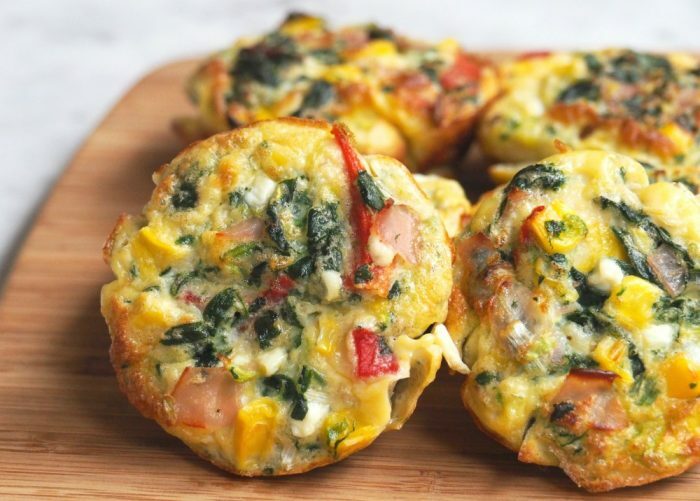 And if you’re watching how many eggs you’re eating because of cholestrol, these babies tick all the boxes, because with only 1 egg for every 2 frittatas, you won’t be eating too many eggstra! Preheat oven to 180C/160C fan-forced. Grease the holes of a 12 hole muffin pan with a little butter and line with squares of baking paper to act as muffin cases. If you have those cafe style paper muffin wraps, skip the butter and use those instead. Place spinach in a colander and pour over a kettle of water and leave to drain. When cool enough to handle, squeeze out excess moisture and chop roughly. Chop the spring onions, ham and roasted peppers. In a medium bowl beat the eggs and season well. 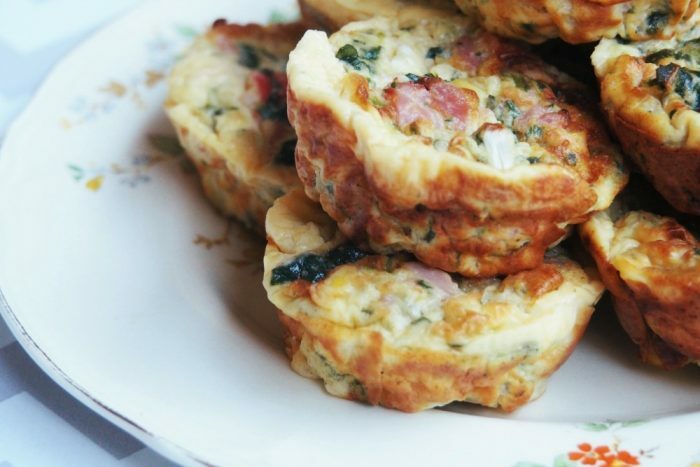 Gently fold through the ham, veggies and cottage cheese until just combined. Use a 1/4 cup measuring cup to transfer the mixture to the muffin tray or just fill each muffin to the top. Bake for about 20-25 minutes, until just set. Cool in muffin pans on a wire rack before removing. Preheat oven to 180C/160C fan-forced.Grease the holes of a 12 hole muffin pan with a little butter and line with squares of baking paper to act as muffin cases. If you have those cafe style paper muffin wraps, skip the butter and use those instead. Place spinach in a colander and pour over a kettle of water and leave to drain. When cool enough to handle, squeeze out excess moisture. Roughly chop spring onion and spinach and add to TM bowl. Chop for 3 seconds on speed 5. Repeat if necessary. Add the eggs to TM bowl, season with salt and pepper and mix on reverse speed 4 for 10 seconds. Roughly chop the ham and peppers and add to the TM bowl along with the corn and cottage cheese. Mix on reverse speed 3 for 10 seconds. Use a 1/4 cup measuring cup to transfer the mixture to the muffin tray or just fill each muffin hole to the top. Cool in muffin pan on a wire rack before removing. TIP! Try a variety of veggies and adding some fresh herbs for added nom! TIP! These are syn-free on the Slimming World eating plan.